After the nuclear accident in Fukushima, co-director of Citizens Nuclear Information Center stated that he approves the restart of Ohi nuclear power plant to Mainichi Newspaper! 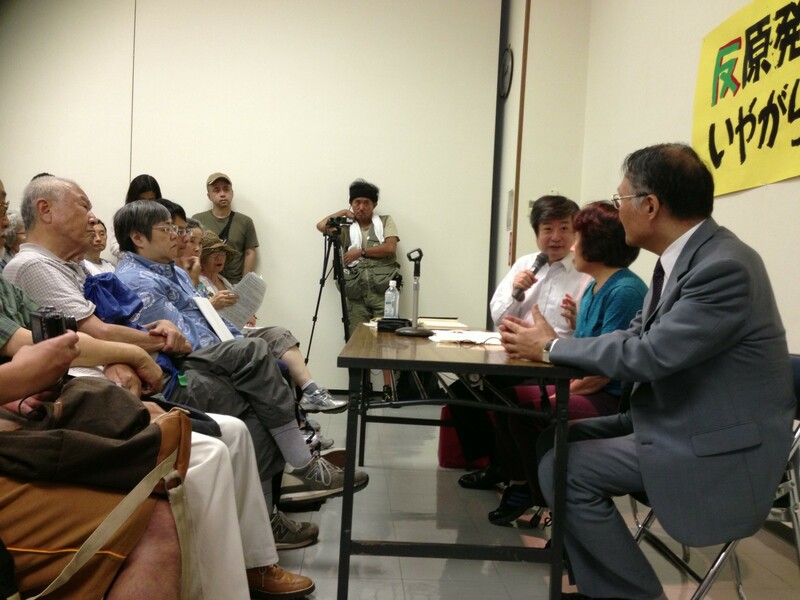 Directors and board members of Citizens Nuclear Information Center were holding an event called, "Exhibition of Harassement against Anti-nuke people" to conceal their shadiness...Japan seems to be a Heaven for double spies!! I am totally surprized to see this! I, Mari Takenouchi, used to work for Citizens Nuclear Information Center from 2001 to 2002. During this period, Hamaoka Nuclear Power Plant, located on the boundary of plates and M8 class quake could be occuring anytime, had 2 major accidents, one was a leak from the reactor and the other was a hydrogen explosion of a pipe connected to ECCS system. The co-director Mr. Nishio stubbornly refused to include "earthquake and nuclear power issue" in the yearly project plan of CNIC. Furthermore, in May 2002, the then mayor of Rokkasho village with the controversial Rokkasho Reprocessing Plant, Mr. Hisashi Hashimoto (54) committed a suicide (I feel sorry even though he was a pro-nuclear!) due to a minor bribery case and I asked the CNIC board members why they were not interested in this issue. Then, on the following day, I was called by the 3 co-directors of CNIC, Mr. Yukio Yamaguchi, Hideyuki Ban, and Baku Nishio, and I was told that I was going to be dismissed. A few days later, when I talked about it from my side in the weekly meeting of CNIC, Mr. Yamaguchi yelled at me saying, "Ms. Takenouchi is telling a lie!" "It is OK with me that I got dismissed. But I cannot tolerate being called as a lier! Moreover, the direcotrs of anti-nuclear organization, which may be related to the future lives of people in this country, are telling such shameful lies themselves. I feel so furious and frightened. I would not like to be in this office any longer myself!" He said to me "If your memo on CNIC gets disclosed, CNIC would be collapsed. It would be so hard to establish an anti-nuclear NGO from the start. They will give you 200,000 yen so please do not disclose your memo." ＊Before this, I trusted Lawyer Kawai since he was kindly asking me whether I had any trouble with CNIC and I gave him a lengthy memo what had happened. I told Lawyer Kawai, "I am sorry I cannot accept such money. I refuse to be obstructed for telling the truth." This is the reality of CNIC. After Fukushima accident, two boardmember lawyers are leading the lawsuits, while one co-director said that it is unavoidable to have the restart of nuclear power plant. They also say nothing about children's health and evacuation issues and published the following unbelievable video ignoring children's health.